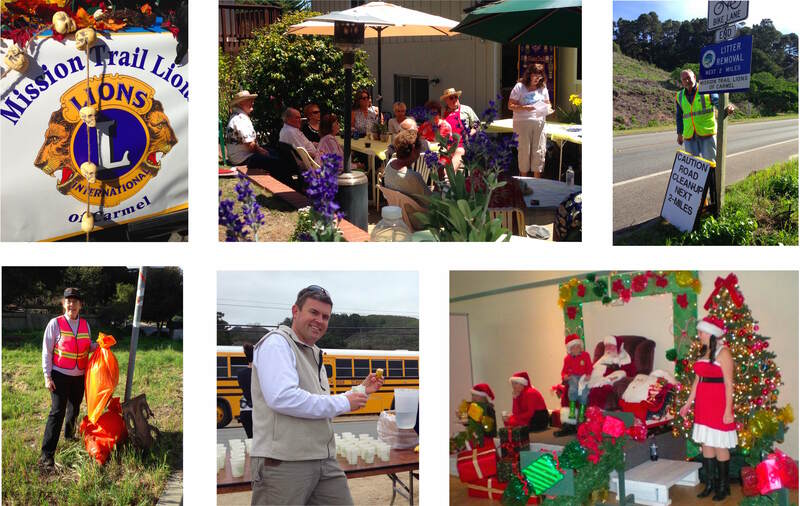 Mission Trail Lions Club of Carmel was chartered on June 23, 2008. Our Mission is to serve the local community through voluntary service and involvement. Our Motto is "We Serve." Lions Give Sight. By conducting vision screening, equipping hospitals and clinics, distributing medicine and raising awareness of eye disease, Lions work toward their mission of providing vision for all. Lions Serve Youth. Our community projects support local children and schools through scholarships, recreation and mentoring. 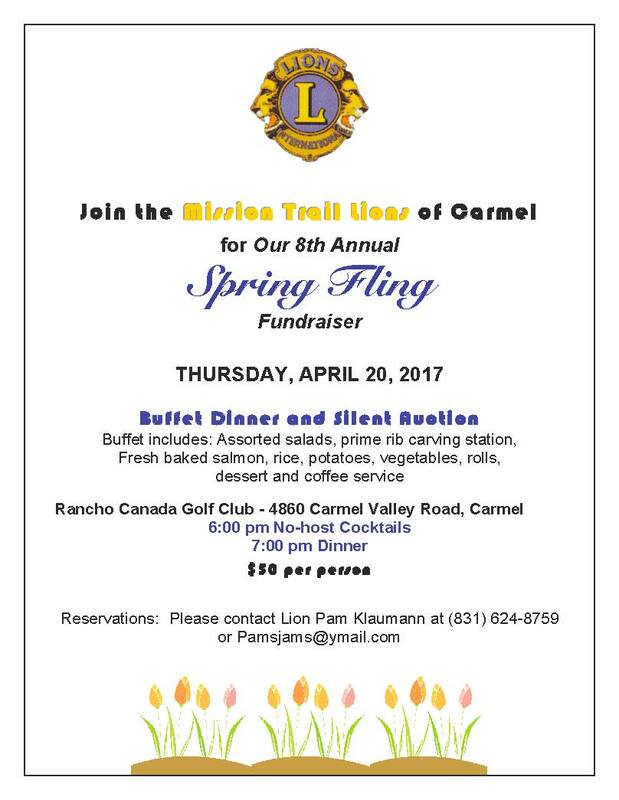 For more information about our club, or if you are interested in joining the largest service organization in the world, email President@CarmelLionsClub.org or visit our Facebook page.